Photo by Anna Meassick | The Blue Light system allows students to alert authorities as they’re walking across campus. The safety of college campuses is always a top concern amongst students and parents and even with various safety precautions in place, doubts about campus safety continue to be at the forefront. Baker elaborated on the extensive precautions taken on campus to keep student safety a top priority. One measure that students are not very familiar with is the option of Safe Rides, an on-campus transportation service that can be utilized by calling 874-SAFE to receive a ride on campus in the event that a student feels unsafe. In addition, police are consistently present throughout the campus during the night. Blue lights are spread across the campus with one being visible wherever you are on campus at all times. In the event that the blue light is used, an officer should be present within two minutes or less. The red lights on top of the blue lights take safety measures even further. Baker explains how messages are sent roughly 800 feet from the red lights in the event of an emergency. In addition, he also discusses a potential shuttle system that may arise in the near future, in which a shuttle is present on campus through all hours of the night to transport students in the event of it being necessary. While it is apparent that proper safety measures are taken outdoors, the question of safety inside of residence halls is still present. 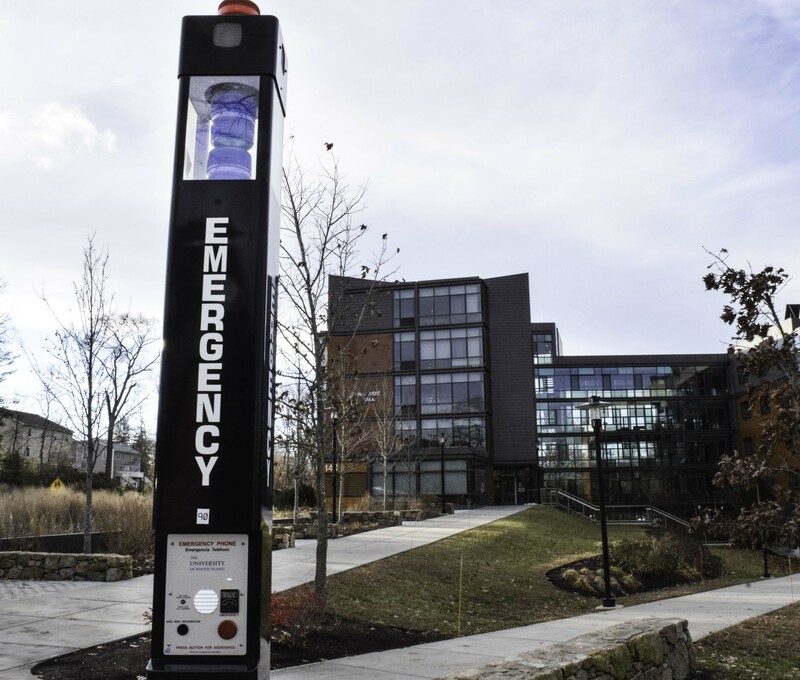 With many universities utilizing cameras and a proper sign-in system for visitors in on-campus residences, the absence of these resources at URI leaves some students questioning their safety. Associate Director of Residential Education, Amanda Downey, provides a reassuring argument explaining her philosophy concerning safety in residential buildings. With this balance, Downey believes students residing in residential buildings have a proper amount of freedom to have guests at the student’s own will. However, in the event of a non-student causing a problem to arise, the student in which they are visiting is responsible for their guest and will receive consequences. Downey also explains how something as simple as the keypad on every dorm room door actually provides a great amount of safety. In addition, Downey emphasized the amount of staff on campus that is put through very much training to foster an environment in which students feel as though they have a proper amount of freedom while knowing that they are protected in the event of an emergency. 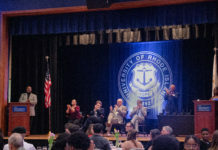 Students also agree that campus safety measures are enough, Rhode Island resident and URI sophomore, Carly Furtado, argues that she feels perfectly safe on campus.